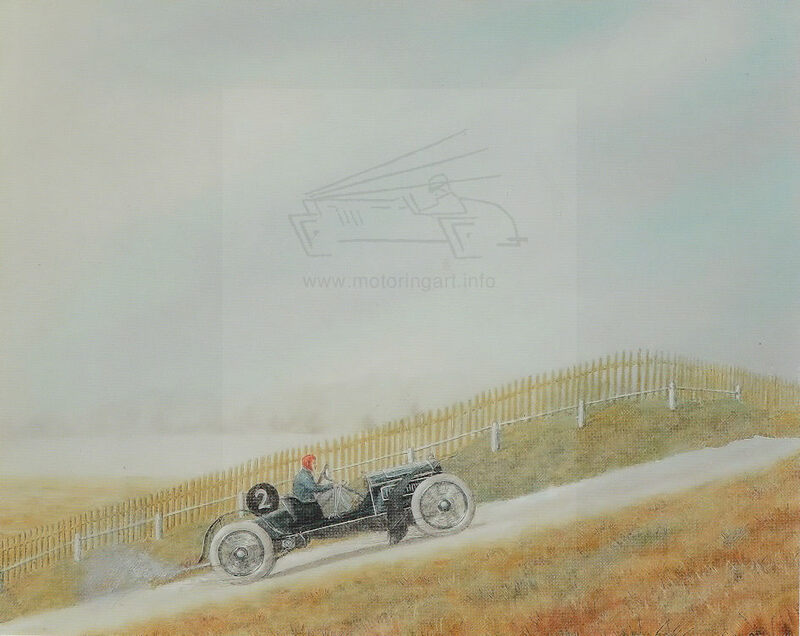 Talented amateur artist who depicted Brooklands and other motoring scenes with watercolour sketches. Margery was the sister of the recognised artist Vincent Balfour-Browne. She died at the age of 34 from influenza caught from soldiers returning from the Western Front, who she was tending. An exhibition of her work was held at Brooklands Museum from May to October 2006. Many of the exhibited paintings were auctioned by Bonhams in November 2010. 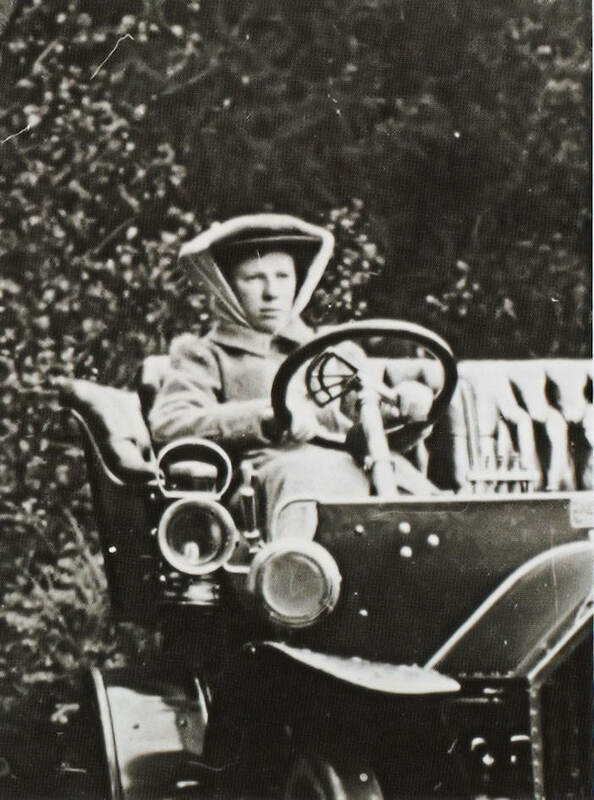 J Jochems driving a Mercedes during the driving competition at Brooklands May 1909. Image courtesy of Bonhams auctioneeers. Street scene dipicting the family Century car. 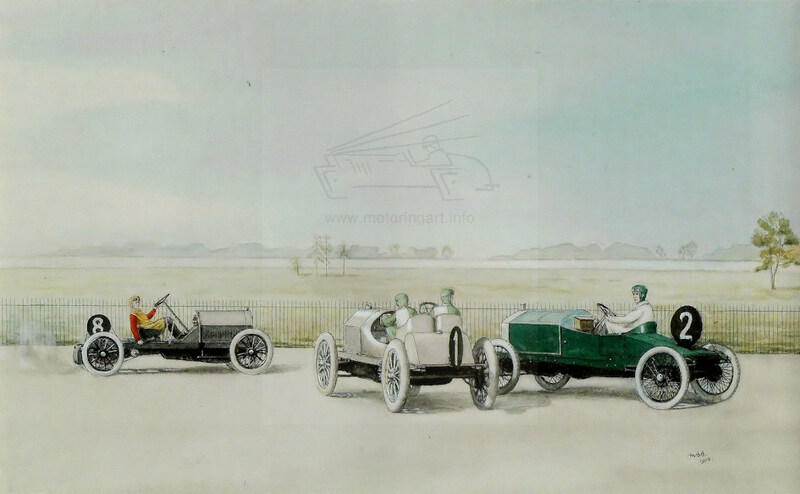 Image courtesy of Bonhams auctioneers. 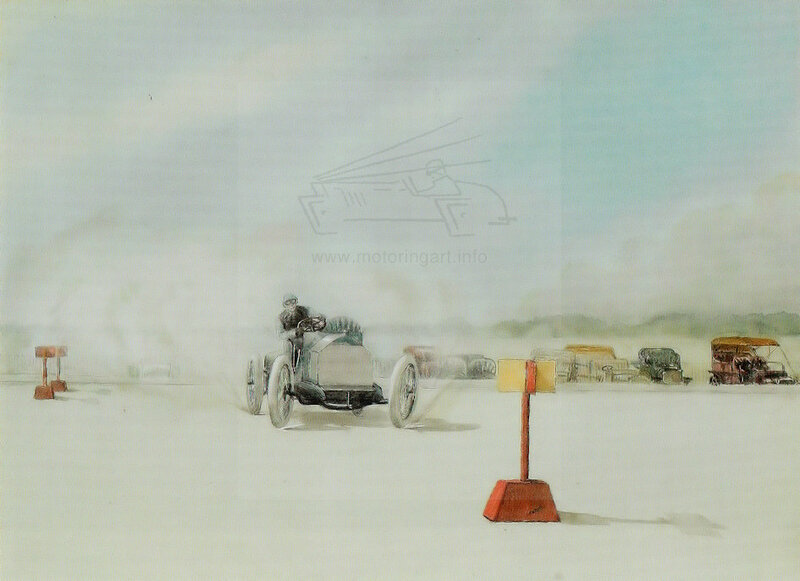 Brooklands paddock scene dated 1908. 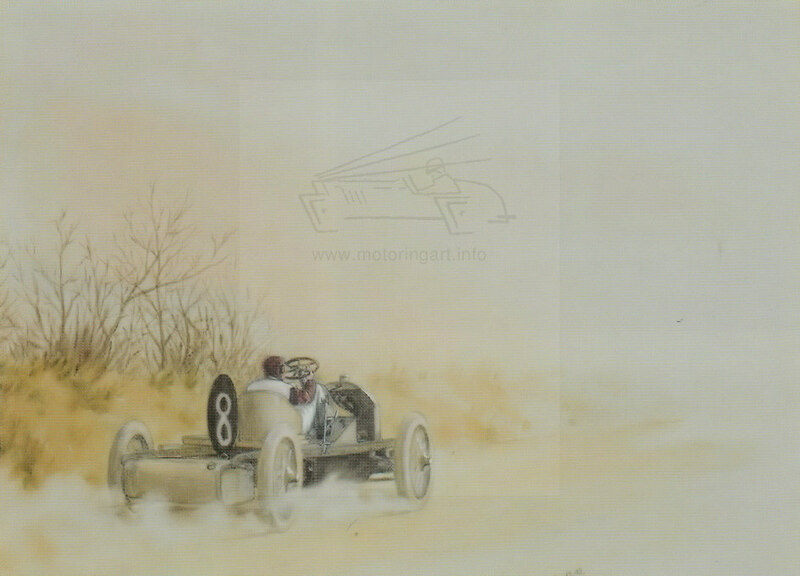 Image courtesy of Bonhams auctioneers. 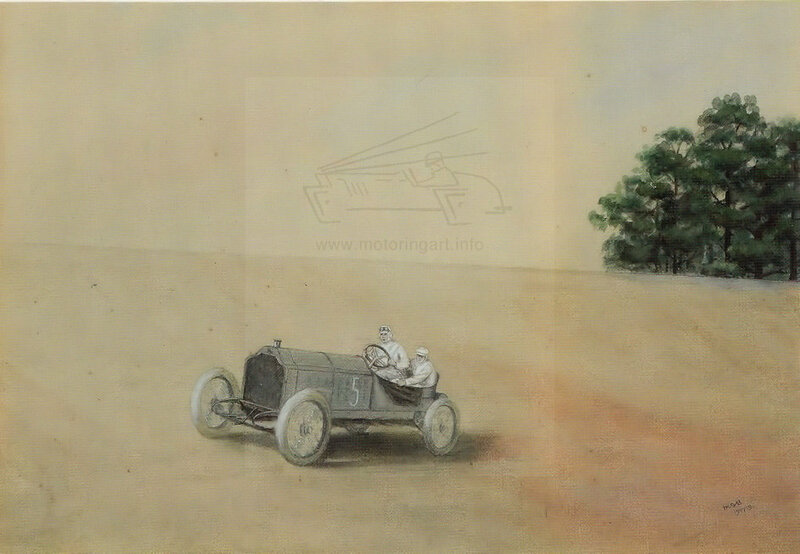 The Critical Moment showing the Crossley of Sir G W G Baird in the 1909 driving competition. Image courtesy of Bonhams auctioneers. Lorraine Dietrich of Charles Jarrott on the Members Banking 1907. Image courtesy of Bonhams auctioneers. 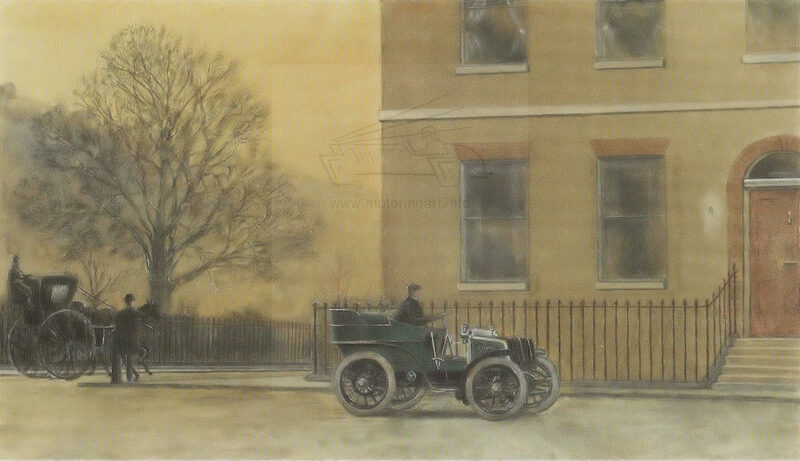 Car depicted is believed to be the Berliet of P D Stirling on the Railway straight dated 1913. 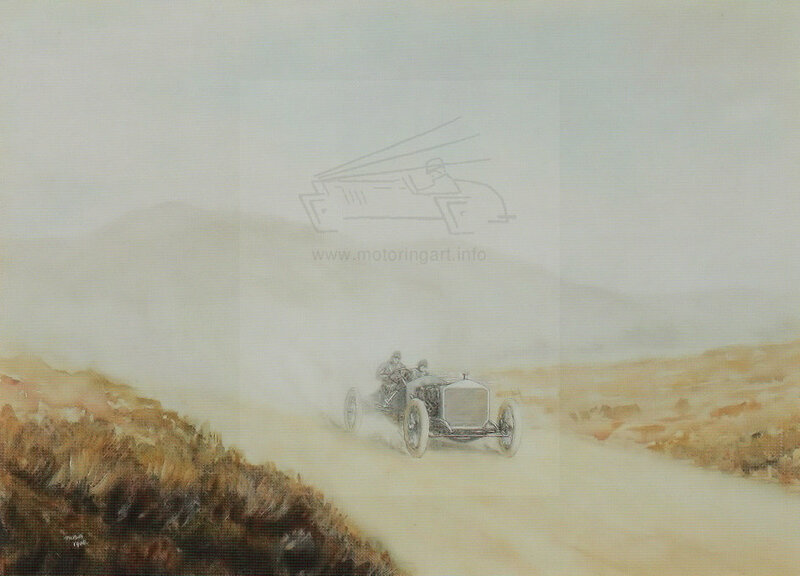 Image courtesy of Bonhams auctioneers.